Get rid of those awefull plastic fins that come as standard with all boards. Precision foiled fiberglass quad fin set with a real bamboo wood center. Stunning looks and performance. 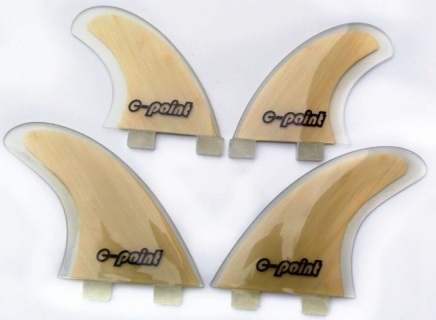 These fins fit FCS, EURO and similar plugs. 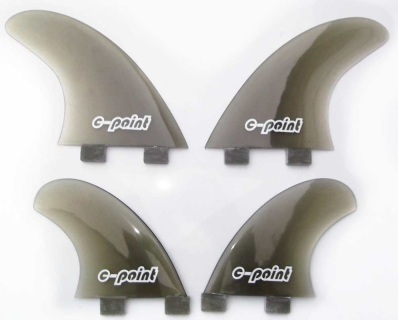 Precision foiled smoke fiberglass quad fin set . Stunning looks and performance. These fins fit FCS, EURO and similar plugs.